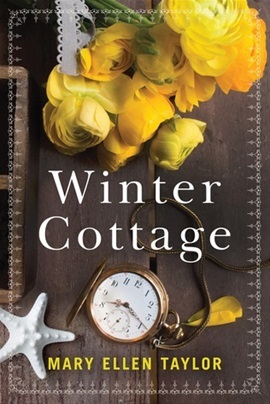 Mary Ellen Taylor is a new author to me and I really enjoyed her book, Winter Cottage. The novel starts out as a seemingly simplistic story that morphs into three storylines that draw you into the novel. Lucy Kincaid was asked by her mother to bring her ashes back to her home for burial. Lucy also found out she was the owner of a place called Winter Cottage. Lucy had no idea that this was the town her mother came from. The story moves between the present, the near past and the past. I enjoyed how the story was laid out and found myself wanting to know what was going to happen next. I think one reason I enjoyed the book so much was the drama in the past and how that information played forward into the present. I think one of my favorite characters was the unexpected visitor, who ended up staying. Having said that - I also felt that was unrealistic for this present time period. I also enjoyed have the story be centered around women within differing generations - seeing the strength of character. Mary Ellen Taylor is an author I will look for and read again. Winter Cottage was a good read. A Nantucket Wedding by Nancy Thayer is a wonderful love story with with a family brought together for a marriage of two older parents. Alison and David are getting married. A second and late marriage for both of them. David has two children as does Alison. The novel was more about relationships and the stressors that come with life in relationships with the blended family learning to work, enjoy and love together.She is excited to have everyone enjoy the house on Nantucket this summer to become better acquainted before the wedding. As you might expect not everything goes easily. There is sibling rivalry between the two families which lead to tension. There are four grandchildren to co-mingle as well as the four children. Each one comes with their own challenges, some larger than others. The Nantucket setting make me see a place in my mind which reeks of suntan lotion, rich people and endless summer. The book does highlight portions of that with the wedding being outrageously expensive, but all that adds to the fun of the story. 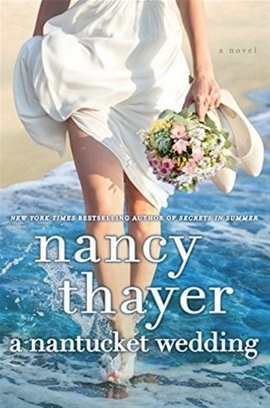 A Nantucket Wedding by Nancy Thayer was a fun read. For me, a new Nancy Thayer book means summer is on its way! I LOVE reading about her world on Nantucket and always look forward to her books. Secrets in Summer is her newest book and I love it!!!! Secrets in Summer by Nancy Thayer introduces us to Darcy, a year round resident and librarian on Nantucket. Darcy has been living in the house left to her by her grandmother and hanging out with a long term group of friends. She is happy. When summer starts though all the houses around her fill up with summertime neighbors. Darcy has always kept them at a distance, but this year is different and not just because her ex-husband shows up next door with his wife and her daughter. Slowly Darcy is drawn into the world of her summer neighbors and has lost her distance. She also is dating Nate, a carpenter on the island and she is feeling sparks. Of course things get muddled and not everything happens as expected, but that’s what happens with summer on Nantucket. The book reeled me in, I so wanted to be one of her neighbors hanging out with her and enjoying the beaches, sun and friends. Sometimes lines blur and it is hard to know which way to turn, but Darcie keeps moving forward, trying her best, knowing the summer is fast coming to an end. I loved Darcie and her “gang” of friends. I wanted the book to end appropriately for her and found myself nervous a couple of times! 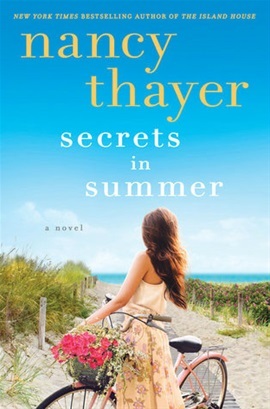 Secrets in Summer by Nancy Thayer is a great summer read!! A Measure of Happiness is a story of love and redemption. The story revolves around three main characters, each with their own secret and heartache. Katherine owns her own bakery. She has employed Celeste since she was quite young. Neither of the two can manage to speak with their heart to each other, but together they seem to bump along. Zach shows up one day needing a job. He also has secrets and just adds to the mixture. The bakery could be a metaphor for how they slowly work their way through everything with constant attention, strong kneading and lots of hope. 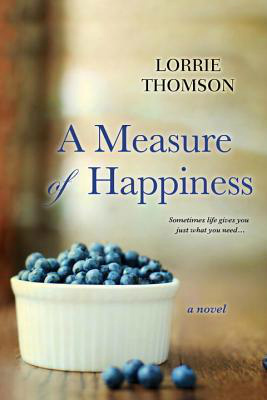 Lorrie Thomson has written a lovely novel about families and what makes families. She was able to allow us to understand the importance of truth, honesty and redemption. This is the second of her novels I have read and enjoyed both of them. Her novels seem to understand that the conflicts in families and between mothers and daughter are both heart wrenching and all encompassing and like no others. This novel is a good read. I read this novel as a preview novel from Net Galley in exchange for my honest opinion. Driving Home for Christmas; Billionaire Holiday book one by Lexy Timms is a quick Christmas read about strangers connecting during a journey during Christmas time. Colin Murphy and Abigail Thompson were two unlikely people to ever cross paths. A snowstorm - a raging blizzard - brought them together. Colin Murphy was a go-getter. He started his own company helping put entrepreneurs with younger people who want to start their own business. He was committed to various endeavors and needed to get to an important meeting and fundraising event. Abigail had just been put through the wringer. She was trying to get home, but didn’t have the money or credit to get there and was desperate. Together, they faced the storm and a ride with a stranger at Christmas time. The story is how the events that brought them to that place and how they together managed to drive. It is the journey and the sharing that made the difference for both of them. As they connected, their stories unraveled and their relationship changed. (Colin and Abigail connect more than just mentally as they traveled.) Driving Home for Christmas (Billionaire Holiday book one) by Lexy Timms is a quick HOT read. 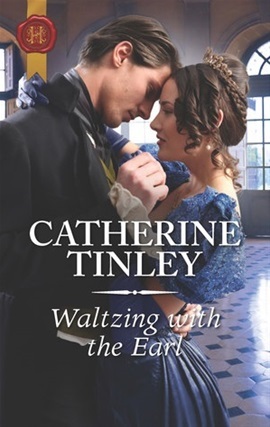 Waltzing with the Earl by Catherine Tinley was another new author and read for me. It was also listed as a RITA winner last year and looked well read. It was an historical romance with great main characters and I suspect there will be other books within the same characters. The Earl, Adam Fanton, needs to marry someone with money. His property a generation ago was mishandled and needs a lot of work. Recently, his father died and Adam became the Earl of Salford. Unfortunately being an earl makes him a target for all the debutante who want/need to marry. He has caught the eye of Ms Louisa Buxted as she is looking for a husband for her beautiful and much indulged daughter Henrietta. The Buxted family also has an added member Charlotte. She is a distant relative to the Buxted. Louisa (mother) and Henrietta (daughter) are just pills, but at least Charlotte can be friends with Faith (the younger daughter). As much as Adam tries to focus on Henrietta with her dowry and land, he finds himself more and more drawn to Charlotte instead. He decides to have a house party and invites the Buxted family as well as other marriageable ladies. That’s when Adam discovers the truth about himself and Charlotte. I enjoyed Waltzing with the Earl. The story line has a mashup of Pygmalion, Cinderella and many other fairy tales. Charlotte and Adam are two main characters worth cheering and Louisa and Henrietta are just… well I can’t say what I really think. Waltzing with the Earl by Catherine Tinley was a good read.